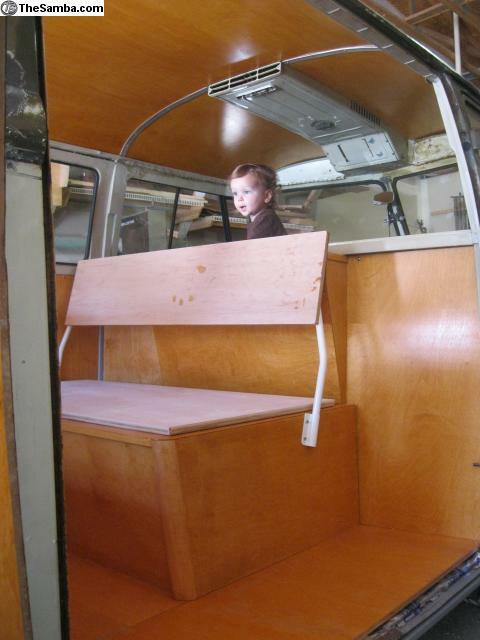 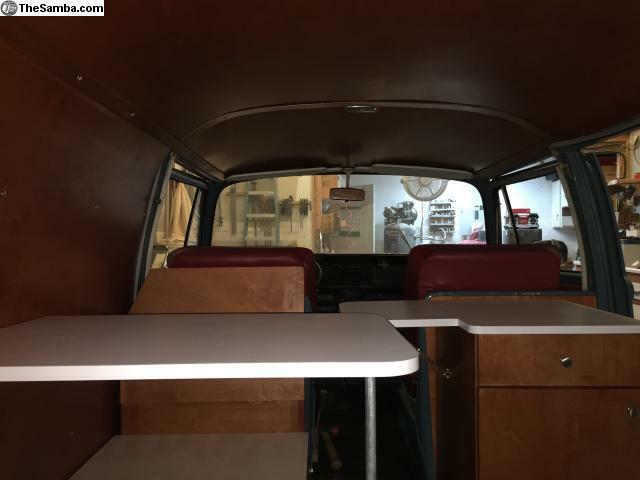 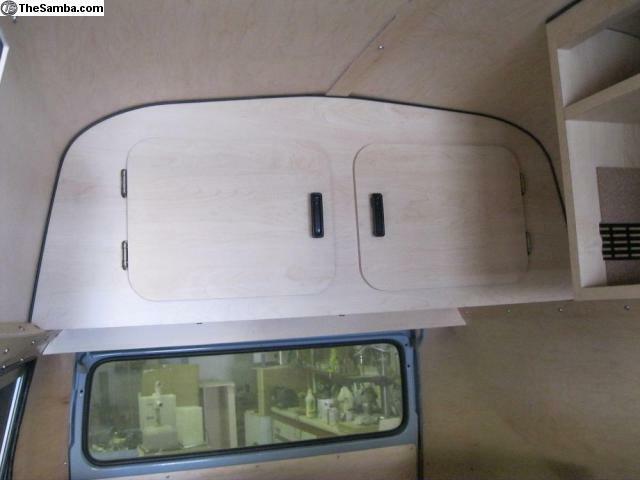 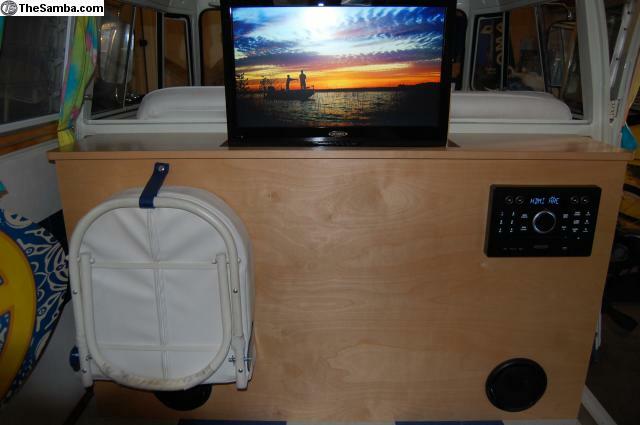 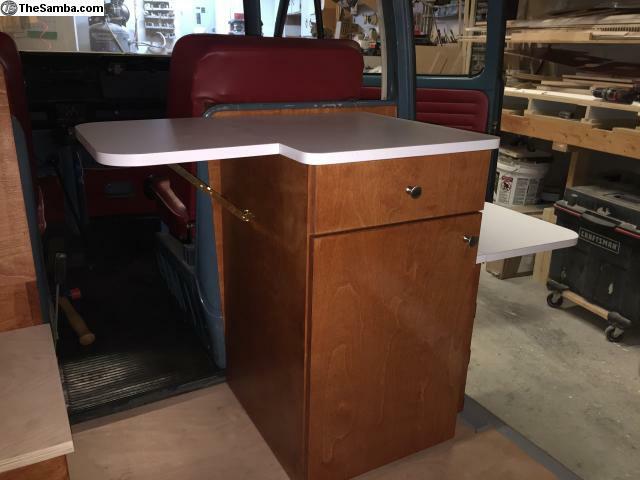 Disappearing TV Cab "very nice job Scott"
These Interiors are styled after the original Westfalia SO-33 and SO-42 camper interiors, and are Handmade from high quality American made Birch plywood. 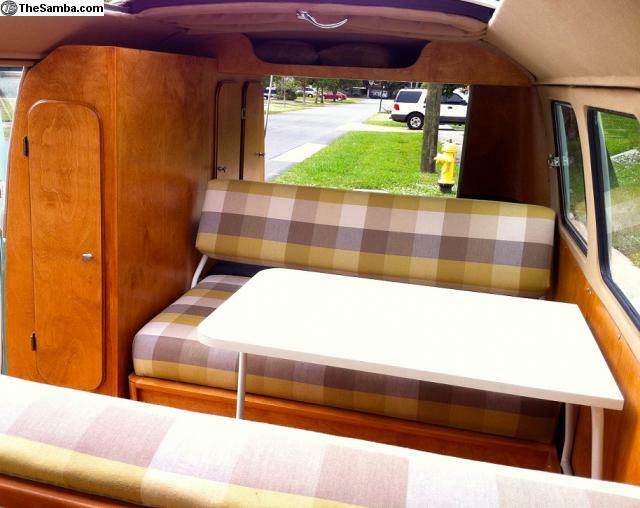 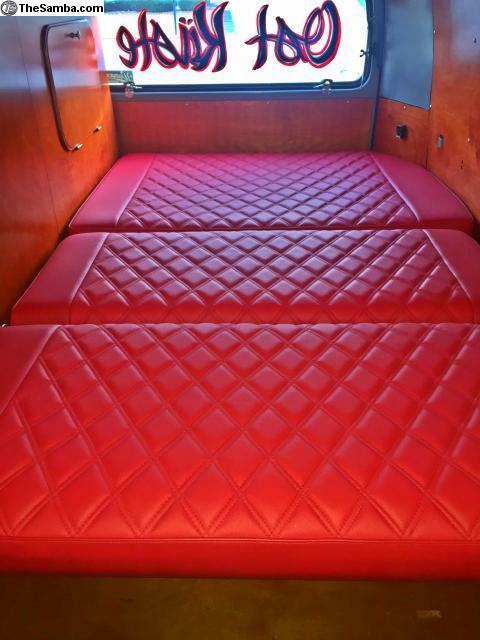 Includes - Front and Rear seats, Wardrobe Cabinets, Main Table, and all Metal Hardware. 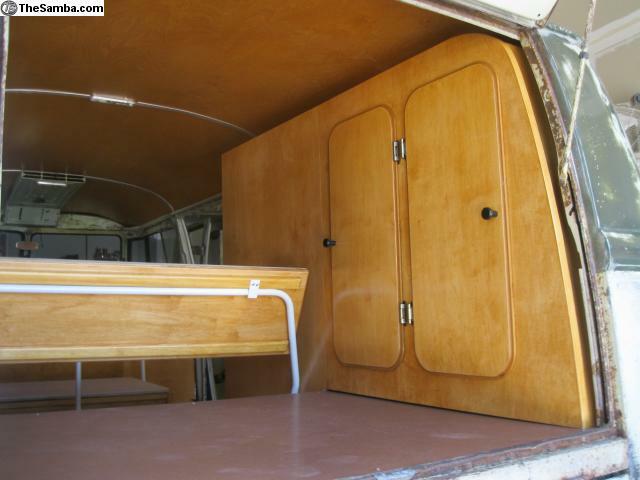 The Metal Hardware is sprayed with epoxy enamel. 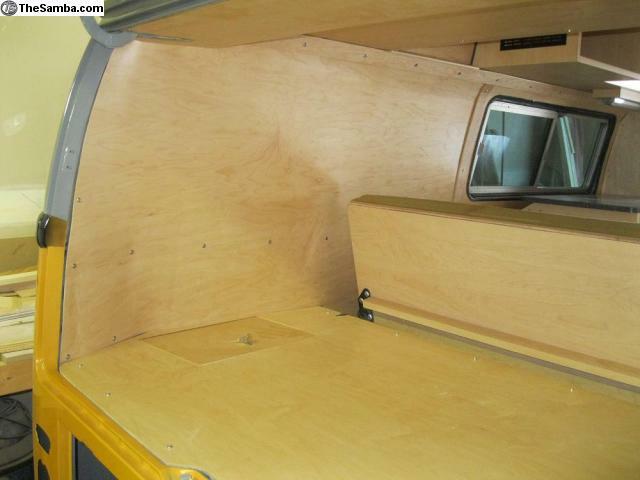 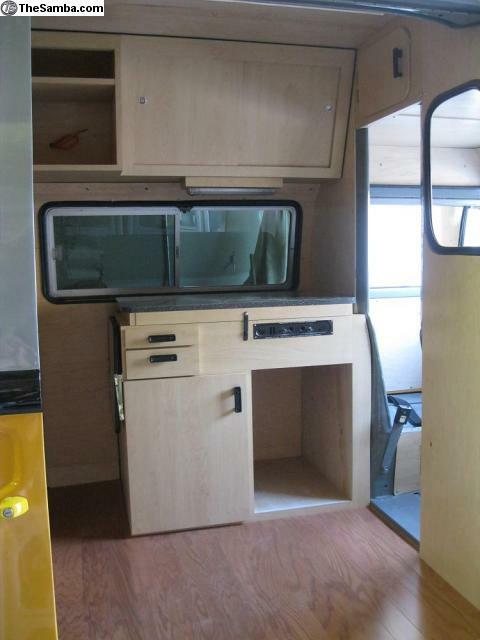 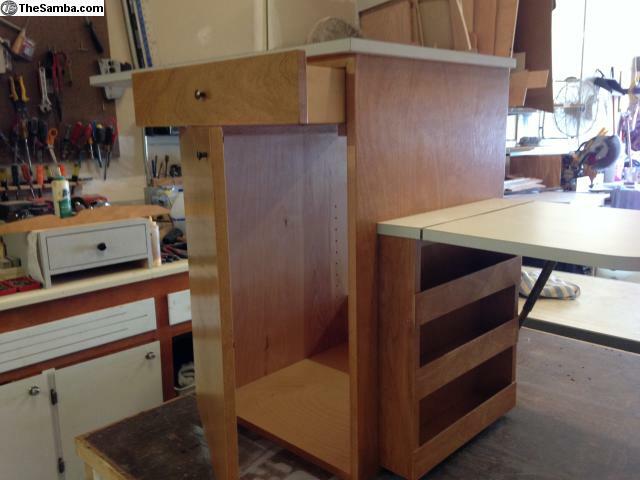 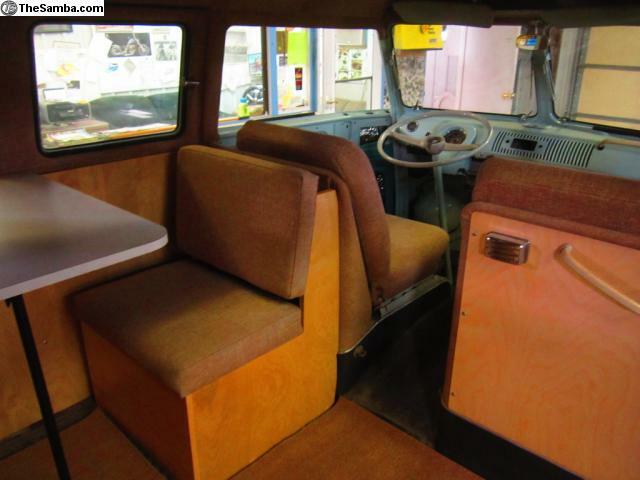 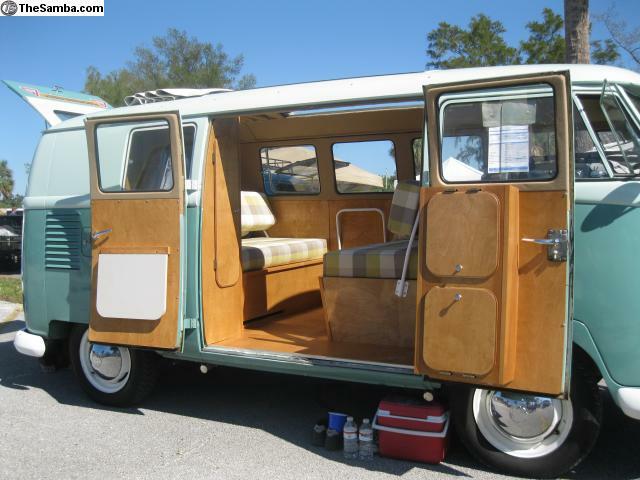 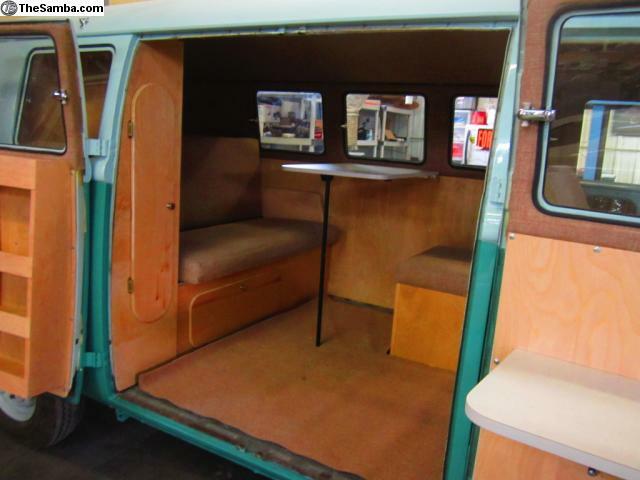 Includes- 3/4 Rear Seat, Jump Seat, Wardrobe Cabinets, Main Table, and all Metal Hardware. 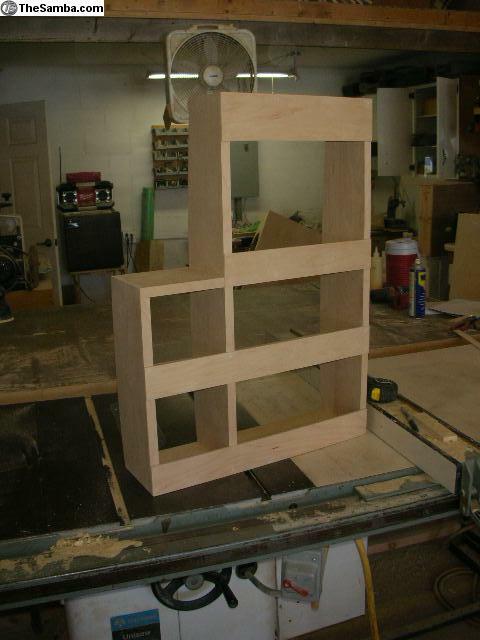 Our Cabinets are made from High-Grade Hardwood core White Birch or Maple Plywood. 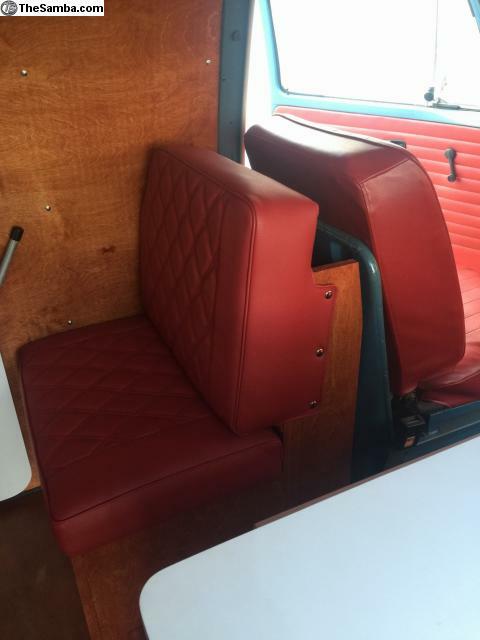 WE ALSO DO CUSTOM RESTORATIONS!! 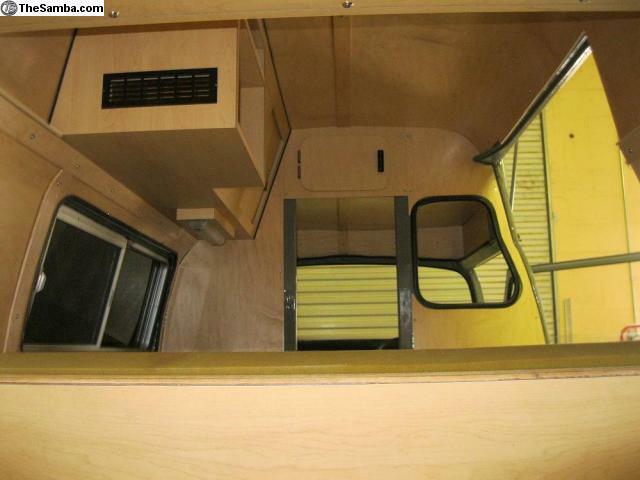 We have built close to 100 of these interiors and have never had a complaint. 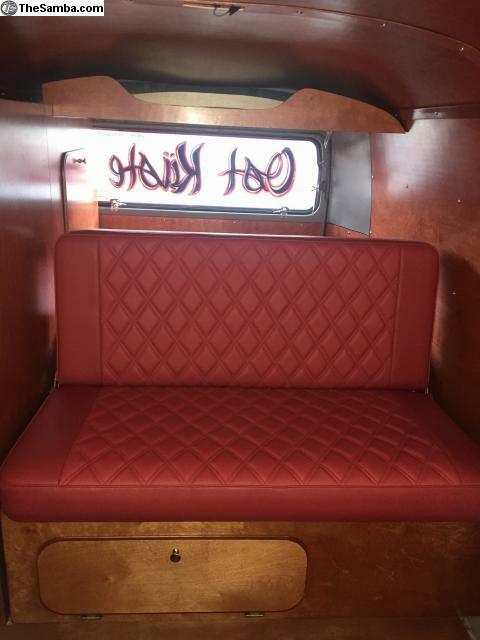 These are very high quality and fit perfect.